Alli needed a unique way to educate shoppers about their new product in the aisles of Walmart. This piece needed to capture the interest of browsing shoppers while also being easy to install and maintain across all Walmart stores. 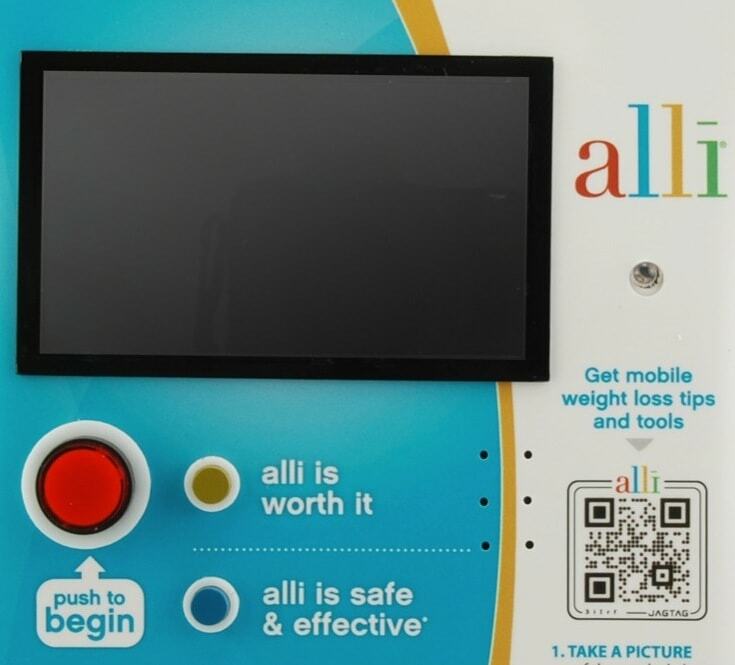 Americhip provided Alli and Walmart with a 7" video display solution. The display had four chapter buttons that played videos which simultaneously enticed and educated customers. The videos first showcased the Alli products then dove deeper to explain the products' safety and effectiveness. 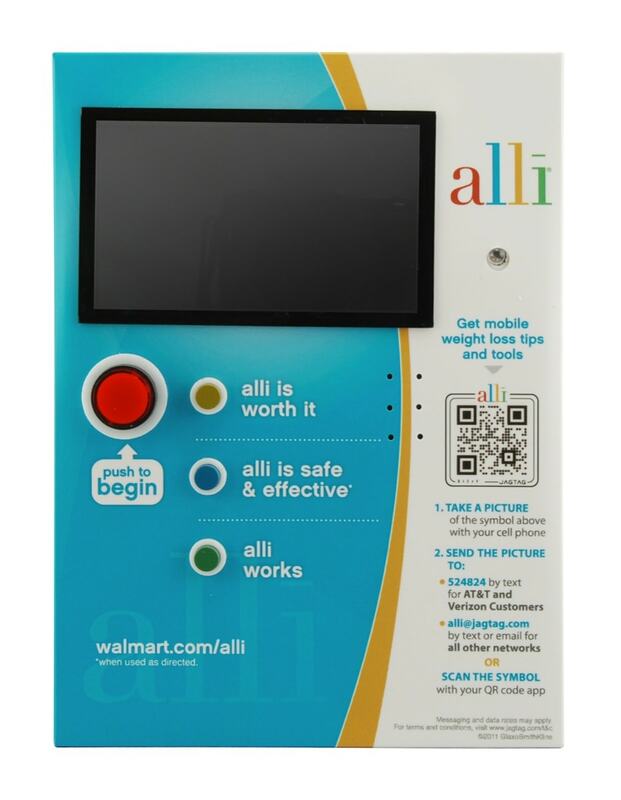 In order to convert more shoppers, the videos also included testimonials from other satisfied Walmart customers and provided a QR code for on-the-go access to more information. In addition, these fully branded video displays were powered by battery, eliminating the need to find power or worry about cables. 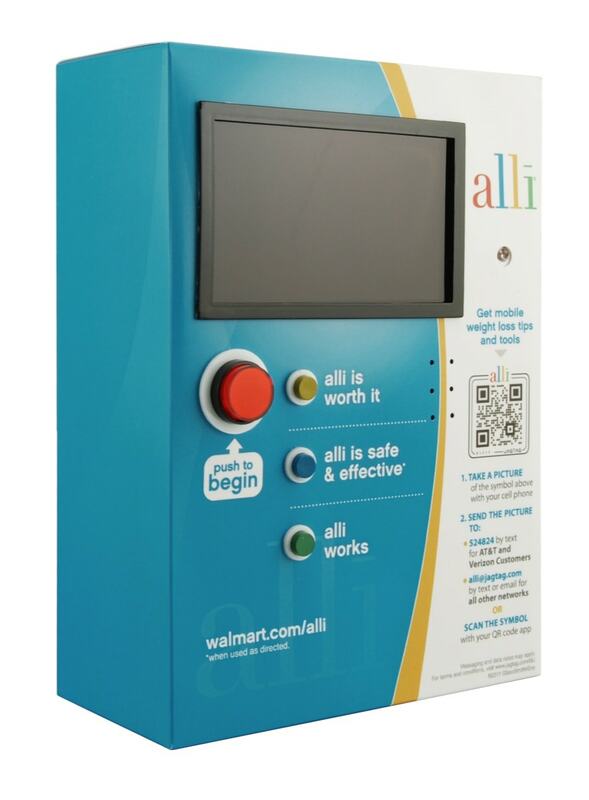 This made installation a breeze for Walmart employees and allowed the unit to be placed wherever Alli products were located in the store.